Successfully negotiating a settlement or winning a case on behalf of an injured client is one of the most satisfying aspects of the legal profession. While savoring the victory, attorneys have a decision to make: what to do with the fees owed them. Attorneys can choose from a number of options. They can place the proceeds in the bank; in an investment or retirement account; or they can use the money immediately to pay firm expenses. 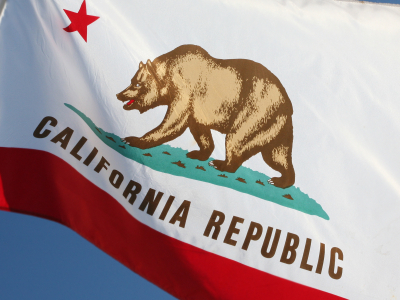 The downside is when an attorney takes receipt of the funds, at which point the money become fully taxable—potentially wiping out 30 to 40 percent of income. One way to avoid the upfront tax bite is to structure some or all of the fees. 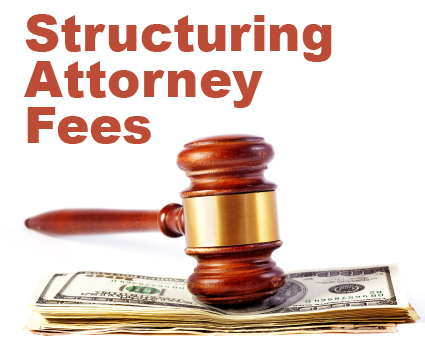 Structuring attorney fees is similar to structuring a personal injury client’s damage settlement. Fees are placed in an annuity and an assignment company makes payments from the annuity per an agreed upon schedule. The major difference between the two is that payments to clients are tax-free while payments to attorneys are tax deferred. By spreading fees over a number of years through fee structuring, a tax strategy can be devised to better manage a practice’s income while minimizing taxes. As an added bonus, money in the annuity grows tax-free until withdrawn. Assume, for example, a 45-year-old sole practitioner wins a big personal injury case that generates a $500,000 fee. She decides to spread the payments over five years via an annuity. Since money grows in the annuity tax free, she would receive $102,521 annually for five years for a total amount of $512,605. If that same attorney decides that she prefers a steady income stream over a longer time frame, she can choose to receive that same $500,000 fee in monthly payouts. In such a case, the amount calculated per month would be $2,115 for life with a 20-year guarantee ($507,619) with the total expected lifetime benefit of $894,678. The internal rate of return would 2.35 percent. Not all cases qualify for fee structuring. Contingency fee cases, where payment is made from a settlement or award, qualify. Cases in which attorneys are paid throughout the course of the case do not. Attorney’s fees can be structured for primarily personal injury and workers’ comp cases. Once the structure is created, it cannot be altered. 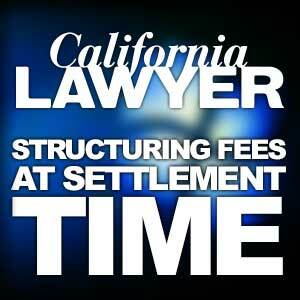 Even if clients decide not to structure their settlement funds, attorneys can still structure case fees. Payments can be structured so that separate payment streams can go to individual attorneys as well as to the firm. Timing is a critical issue. The tax-deferred status of structured fees is the result of Childs v. C.I.R., 103 T.C. 634 (1994), aff’d without opinion, 89 F.3d 856 (11th Cir. 1996). The court said that an attorney who defers receipt of fees into future years would be taxed on the income only in the years when the income is actually received. Since attorney fees comes out of the plaintiff’s damages, Childs requires that a fee structure agreement, showing how the fees will be paid, must be formulated before a case is complete or settled and before the attorney takes “constructive receipt” of the fee payment. If the plaintiff’s attorney receives a fee payment directly from the defendant or insurer after the case is complete, the amount would be fully taxable. Verbiage in the settlement agreement must state that the attorney/firm is receiving fees as payment for services and detail how and when the fees will be paid. The plaintiff’s attorney, the client, as well as the opposing party, must each sign the agreement. The time to discuss financial planning options, including a possible structure for payment of attorney’s fees, is when the case is still underway. To make sure all procedures are completed properly, attorneys should go over structured fee payout options, amounts and documentation with their tax professional and an experienced structured settlement broker. Currently, a handful of life insurance companies write fee structured annuities. Since legal rules dictate that the underlying assets of annuities can only be invested in conservative investments—including government securities—don’t expect these assets to outperform a rising stock market. On the upside, their stability is what enables the insurance company to guarantee specific payouts through the life of the annuity, and if the proper groundwork is laid, a looming tax bill can be reduced by a significant amount.